Silk For Milk 10 Day Challenge + GIVEAWAY! 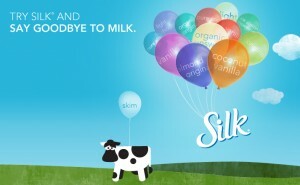 Silk contacted me and asked if I would like to participate in the Silk For Milk 10-Day Challenge. I was sent coupons for a free product of choice. 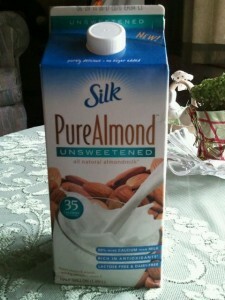 I picked the PureAlmond Unsweetened Almond Milk. 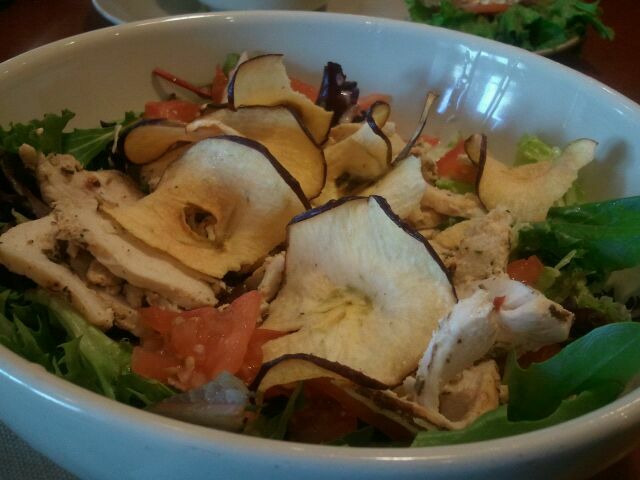 By itself, it had a very fresh flavor, but bland. It was thicker than skim milk, and kind of had the consistency of soy milk. I really liked it’s creaminess! and put a splash in my scrambled eggs! Overall, I thought it was pretty great! With the cereal, I also added a packet of stevia and it was just perfect! 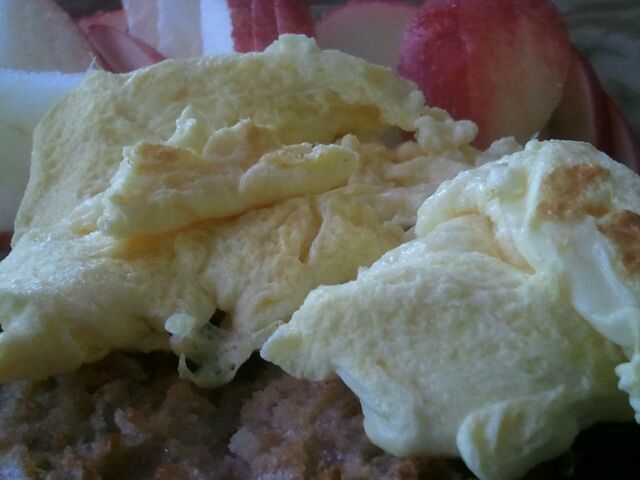 With the scrambled eggs, there wasn’t much of a taste change, but I noticed a very silky smooth consistency, that I believe the almond milk helped contribute to. And at 35 calories and 45% daily calcium needs per cup!?! Fantastic! 1 winner will win 1 Silk branded Chico Bag, and a Silk Coupon! 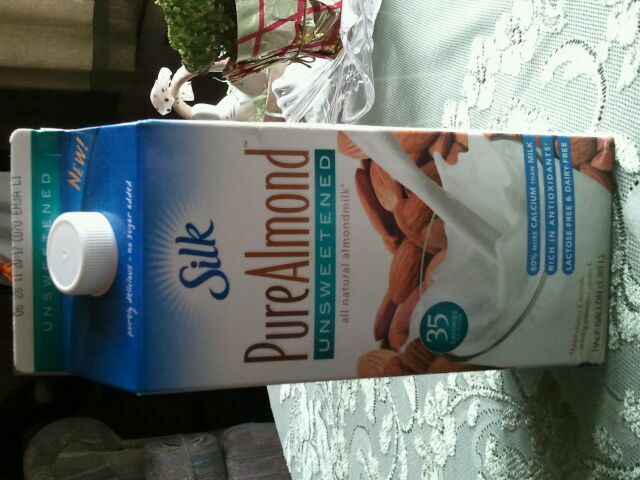 Now you can try a swap from milk to something by Silk ! How awesome is THAT! Congratulations! please email me your info so your prize can be shipped! Thanks to all who entered- and more giveaways coming soon!! In light of the holiday, I felt this review was appropriate. 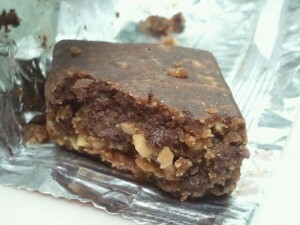 A healthier way to enjoy chocolate- why? 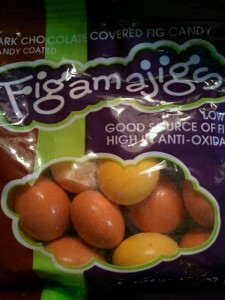 Because there is FRUIT – FIGS – in this chocolate. But- it’s really good! I gave up chocolate for Lent (NOT doing that again. I didn’t realize how much chocolatey things I consumed on a daily basis! ), so it is finally welcome back with open arms into my life. HURRAY! Overall, 4 stars. Really good, and great for when a chocolate craving comes along. 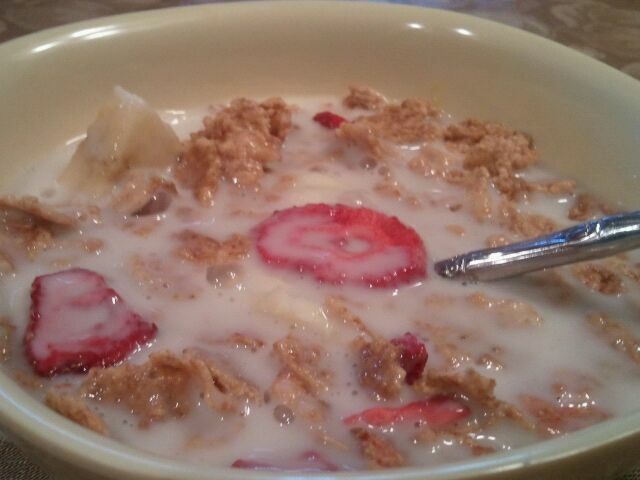 I liked that they had fiber and fruit in them. What I didn’t like was that there were dyes in the ingredients. 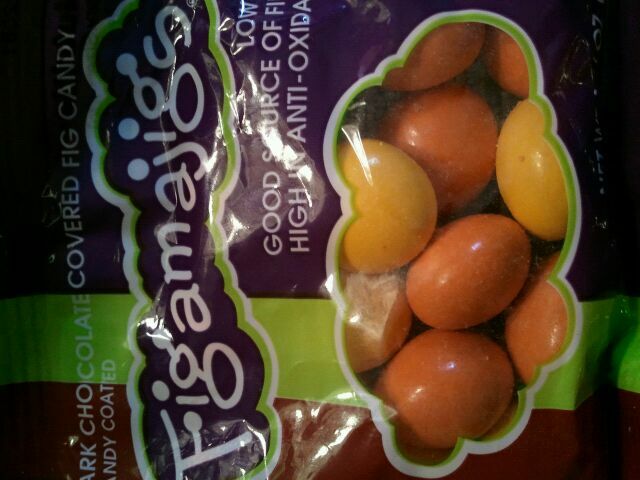 I do wish that they could have used something more natural to color their product with, but, regardless, I’d eat them again. 40 grams is 150 calories, 2.5 grams of fat, 32 grams of carbohydrates, 2 grams of carbohydrates, 26 grams of sugar and 1 gram of protein. When eating colored candies, is there any color you won’t eat? Or any color that’s your favorite? When it’s fruity candies, I always eat the red ones, but when it’s chocolate candies, my favorite are the bright colored ones! I was provided to try these candies for free. Annoucning the winner of the Nature’s Path Giveaway!! CONGRATS! Please email me your info so Nature’s Path can get your goodies out to you! Thank you to all who entered, more giveaways to come!!! AND…still time to enter this giveaway!! First off, Happy Earth Day 2011! wooo!! I hope everyone had/is having an awesome day! 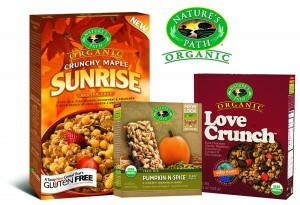 To celebrate Nature’s Path is giving away a YEAR’S SUPPLY of cereal in this contest they are holding here. HOW AWESOME would it be to win that!?!? On another note, the Nature’s Path granola, cereal, and granola bar giveaway ends tomorow, and the NutraSea DHA giveaway ends Monday. 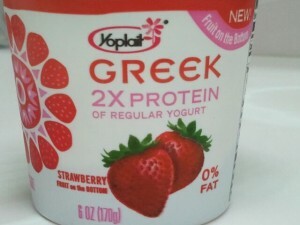 I got some coupons to try Yoplait Greek Yogurt for free, and of the ones I chose, Strawberry and the already reviewed Honey Vanilla were two of them. I wasn’t a huge fan of the Honey Vanilla, but I had hopes for Strawberry to be tasty. At first, it started off good. 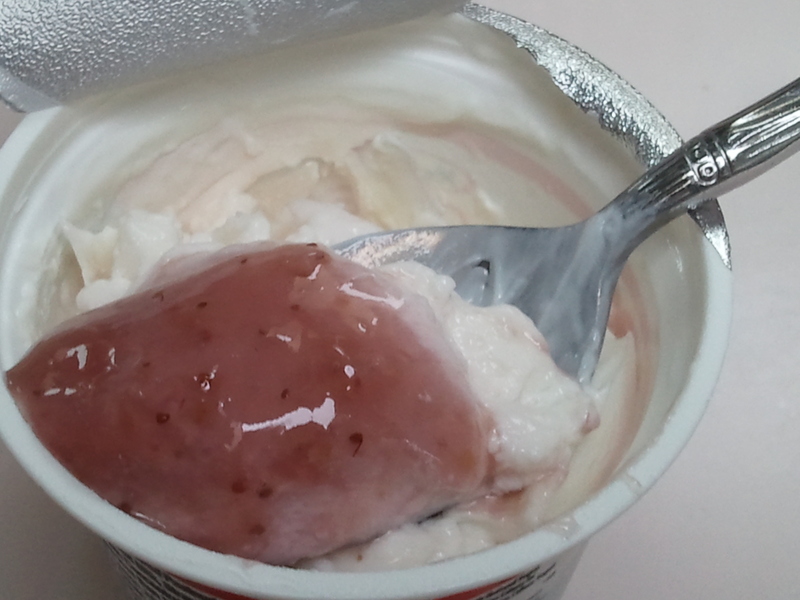 It looks really good straight from the container! Overall, 2 stars. I really loved how thick it was, but I really did not like the taste. 1 container is 160 calories, 0 grams of fat, 25 grams of carbohydrates, 20 grams of sugar and 14 grams of protein. Dont forget these two awesome giveaways! Nature’s Path and NutraSea DHA ! Yea I said it.. TWO giveaways in ONE week here on HealthNuttxo!! but first, a few words. I was provided two bottles, one of the NutraSea DHA and NutraVege for free from Ascenta Health. The NutraSea DHA is according to the bottle, an “ultra-pure, great tasting omega-3” and “Beneficial for cardiovascular health and brain function” The NutraVege , according to the bottle, is a “high potency DHA, GLA & SDA vegetarian supplement”, and is a “vegetarian source of omega-3 fatty acids beneficial for the maintenance of good health“. They both pretty much had the same texture and flavor. A pale yellow in color, very thick and oily in consistency, with just a very mild citrus flavor. I tried them by the spoonful, but I think the next time I use them I am going to mix it with something else that is flavored to make it more enjoyable. Now, aside from this awesome Nature’s Path Giveaway here, Ascenta would like to give one bottle of the NutraSea DHA to one lucky U.S. Winner!! 1. Leave a comment on any of my reviews! 2. Tweet about this giveaway with “@healthnuttxo” and the link in the tweet *may tweet more than once if you want- each tweet is one extra entry!! Contest ends Monday April 25th 2011 at 9am . In honor of Earth Day coming up (THIS FRIDAY, April 22nd!! 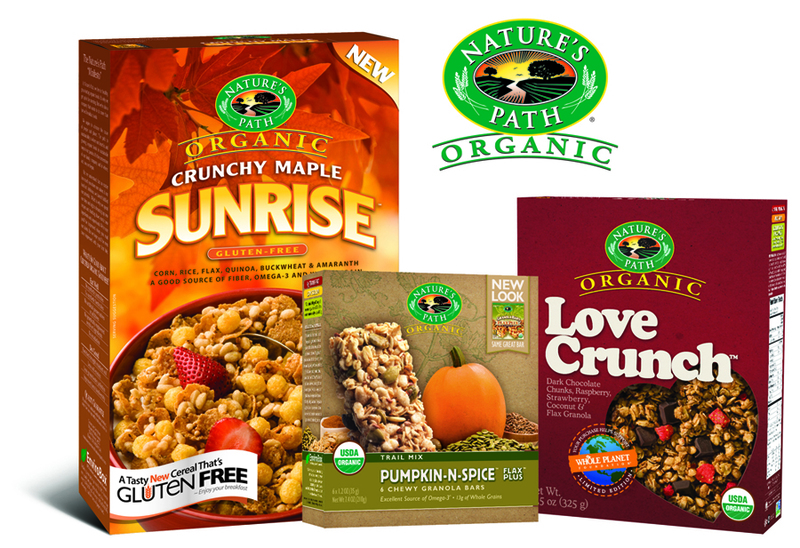 ), the lovely people over at Nature’s Path asked me to host a giveaway for one lucky winner to get some of their tasty goodies, like the Love Crunch granola, Crunchy Maple Sunrise, and Pumpkin-n-Spice Granola bars! So, how to enter for your chance to win these awesome products? (U.S. only), please leave a comment for EACH entry. 1. How are you celebrating Earth Day 2011? 2. Tweet about this giveaway, mentioning my name “@healthnuttxo” and the link! 3. Add me to your blogroll! Contest ends Saturday, April 23rd 11 am.